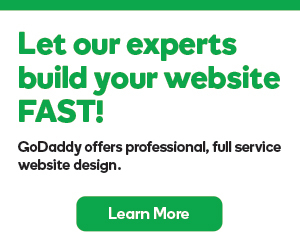 If you manually installed Zen Cart, instead of using GoDaddy Hosting Connection®, you need to manually upgrade as they release updated versions of the application. Zen Cart 1.5 supports PHP 5.2 to 5.3. If you are using an older version of Zen Cart, you can use PHP 5.2 to access the site until you upgrade. NOTE: If you are using Zen Cart schema 1.3.8a, you need to upgrade to 1.3.9 before upgrading to version 1.5. Otherwise, you will get errors. If you have issues connecting to the admin area, or if the application won't let you stay logged in to the Admin area, refer to this Zen Cart help article. Make sure your hosting account uses PHP 5.2. For more information, see View or change your PHP version in Web & Classic hosting. Back up your Zen Cart's database. For more information, see Backing up and Restoring MySQL or MSSQL Databases. Download and unzip a version of Zen Cart 1.3.9. Upgrade Zen Cart to 1.3.9. For more information, see this Zen Cart help article. Disable all plugins and set your theme to the default. Download and unzip a version of Zen Cart 1.5.0. Upgrade Zen Cart to 1.5.0. For more information, see this Zen Cart help article. Verify that all of your plugins and themes support Zen Cart 1.5, and then install updates. If you run PHP 5.2 you need to disable APC and use Zend Optimizer. For more information, see Disabling APC on Your Hosting Account and Using Zend Optimizer in Web & Classic hosting. If you run PHP 5.3 you need Zend Guard loader. For more information, see Using Zend Guard Loader in Web & Classic Hosting.